Chiropractic is a holistic approach to health without the use of drugs or surgery. At the foundation of chiropractic is that the body is a self-healing organism, and that the nervous system (much of which is housed and protected in the spine) is the master controller of all functions in the body. 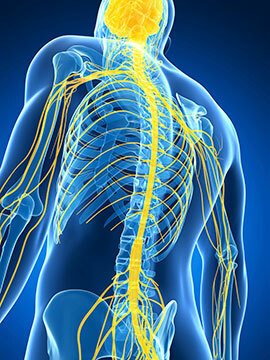 Any hindrance or interference to the functioning of the nervous system negatively affects a person’s health. This causes the body to function in an adaptive (“stressed”) state of dis-ease. Chiropractic adjustments allow the spine to move properly and help remove interferences that hinder the body’s ability to heal itself and function properly. Chiropractic adjustments are gentle, safe, and effective. Chiropractic is truly a gift that has helped countless people, especially ones who had little hope and nothing else to turn to. From restoring function, eliminating and preventing pain, improving quality of life, and allowing the nervous system to function properly, chiropractic has helped many people regain their health and lives back. Massage therapy is a natural treatment approach that can allow your body to achieve better balance and movement by relieving muscle spasms and pain, improving blood circulation, and reducing swelling. Massage also helps improve range of motion, relieve tension, promotes relaxation, and aids in the healing process. Not only does massage feel great, it also promotes well-being. Kinesio Taping is a therapeutic taping technique that works in helping stabilize and support muscles and joints without restricting motion (unlike “regular” athletic tape). This is safe, effective, and works with the body’s somatosensory receptors to help promote healing and better functioning. 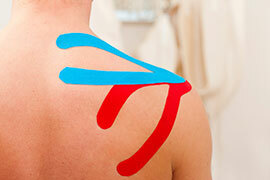 Kinesio Taping has become especially popular with athletes over the last several years. Though many athletes are enjoying the use of Kinesio Taping, the benefits of the tape can, and are being experienced by non-athletes, weekend warriors, younger and older patients. Wellness is an optimal state of health. Wellness is not just a lack of illness or disease. It is not a lack of symptoms. It IS when health, not sickness (also known as lack of health) is expressed. It is when you are maximizing your potential for health. Wellness is being proactive, not reactive. Your health is directly influenced by your lifestyle. In fact, lifestyle affects how genes are expressed! Chronic illness, the single biggest cause of death in the U.S., is mainly a side-effect of an unhealthy lifestyle. Knowing this, doesn’t it seem obvious that “treatments” which don’t address our lifestyle choices do not address the root cause and are doomed for failure? 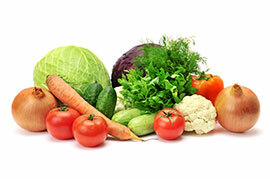 A healthy lifestyle involves thinking, moving, and eating in ways congruent with health. Those 3 keys are genetic REQUIREMENTS for health. You cannot be well if you eat healthy, but don’t exercise and are stressed out. In other words, you must do all 3 consistently. Would a plant grow or wilt if it was given sunlight, but no water? The same exact principles apply to us! Wellness care is so essential and valuable to our health, yet neglected by most. This may be due to misconceptions, fear of change, and misinformation. People often think of proper diet, positive thinking, and exercise as luxuries rather than essential aspects of health and well-being. This is simply not the case. In fact, a good diet, proper frame of mind, and exercise are absolutely required for the proper expression of health. So what are our genetic requirements to express full health? What is healthy and what is not? And, where can we go to for this information? Unfortunately, there is a lot of misinformation and confusion as to what our genetic requirements are to fully express health. Think about WHY you should be healthier. If it is important enough, the HOW will usually take care of itself. Why wait until you are sick to do something about it? Be proactive, not reactive. Let us help you get on the path to wellness and clear up the confusion about what is truly healthy and how to best get there.